This paradigm may appear strange to many people. Many people, if they are dedicated to their practice, perform perfectly, or attempt to perform perfectly even if they actually don’t. In our school, students are recommended not to perform perfectly! 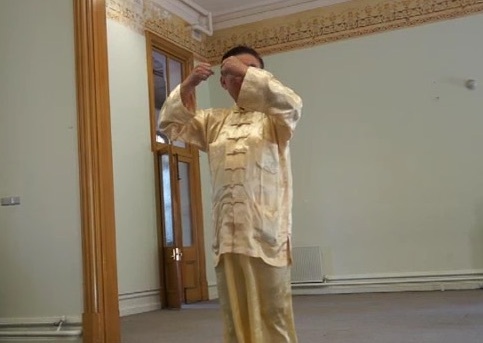 This entry was posted in Chi Kung, Grandmaster Wong Kiew Kit, Intensive Chi Kung Course, Kung Fu, question-answer, Shaolin, Shaolin Wahnam and tagged chi kung, chi kung course, Grandmaster Wong Kiew Kit, Kung Fu, QUESTIONANSWERS, Shaolin, Shaolin Wahnam on January 8, 2019 by Wei Joo Lee. WHY CAN’T KUNGFU PRACTITIONERS USE KUNGFU FOR COMBAT? I have read from your posts in the answers section that genuine Kung Fu is not only learning Kung Fu forms but being able to apply them in combat situations. However, I have found out from personal experience training in Shaolin Kung Fu as well as from your website that the norm today is to revert to bouncing about like kids and using Kickboxing techniques while sparring. Why is this the norm? Is there a reason why it is common place to use Kickboxing techniques while sparring instead of learning how to apply Kung Fu forms? You have touched on a very urgent point in kungfu training today. Yes, it is a norm today that most kungfu practitioners, including many masters, use Kickboxing or other martial art techniques in sparring or fighting. They do not know how to use kungfu techniques for combat though some of them are formidable fighters using Kickboxing or other techniques. This is a delicate issue, but it is urgent. If this issue is not resolved, the ability to use kungfu for combat may just disappear from the world! Hence, we in Shaolin Wahnam are very serious in doing our part in preventing this happening, even at the risks of being ridiculed and criticized. 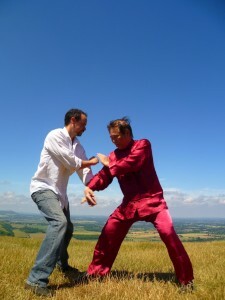 Why are most kungfu practitioners today unable to use their kungfu for combat? It is because they have not been taught to do so. Why haven’t their schools or systems taught them kungfu combat? It is because somewhere in their generation line they have lost their sparring methodology. Hence, the majority of kungfu practitioners today — students as well as masters — either do not spar at all, or if they ever spar they use other martial art techniques. Why is it that they can use other martial art techniques like Kickboxing or Karate in sparring even when they have not learnt these arts, but they cannot use kungfu techniques in sparring when they can perform kungfu techniques in solo practice? It is because Kickboxing and Karate are closer to instinctive or free-style fighting, whereas kungfu is more elaborated. In other words, even if you have not learnt any martial art, if you fight instinctively, the way you fight looks like Kickboxing and Karate. And if you have seen how Kickboxers and Karate exponents spar, you can more easily imitate their ways of sparring. 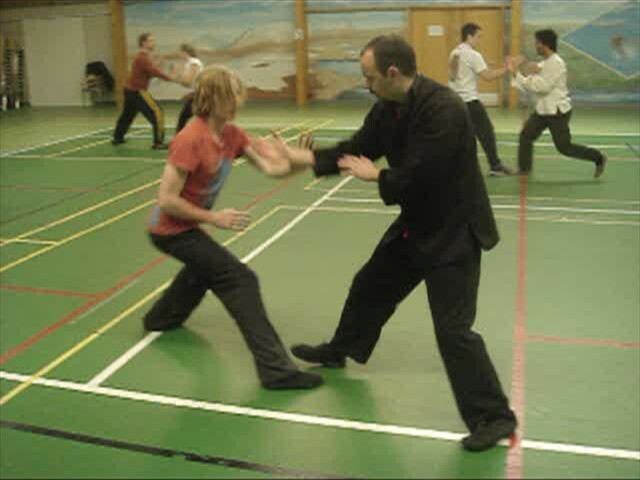 On the other hand, even if you have learnt kungfu forms in solo performance but have not learnt how to use them in sparring, you would have great difficulty using them to spar because these kungfu forms involve elaborated stances and movements. Indeed, if you are not trained in kungfu combat, using these forms in sparring would be a liability instead of an asset. Thus, you would discard them for instinctive fighting, which is bouncing about and punching and kicking wildly. When you fight in this way, your movements resemble more like Kickboxing and Karate than kungfu. Why was sparring methodology lost in most kungfu lineages? There were many reasons. The burning of the Shaolin Temple in the mid 19th century was a crucial factor. 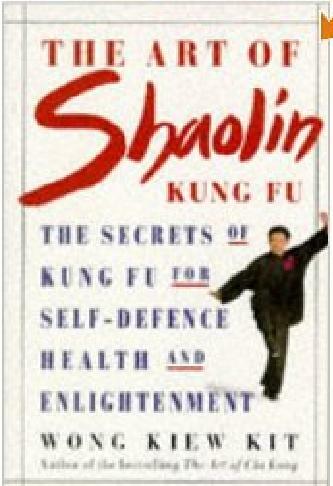 In the past the Shaolin Temple was regarded as the pinnacle of kungfu, and acted as a standard of reference. Without this reference point, kungfu as a fighting art deteriorated rapidly. One important reason for its deterioration as a fighting art was the emergence of firearms which rendered kungfu a hobby instead of a need for survival as in the past. Another reason was a change of teaching mode. In the past disciples learned from and served a master. If they did not train diligently they might not have their meals. In the 20th century, rich landlords employed kungfu instructors to teach their children and followers. Rich children were not the type who would train diligently, and if they didn’t train, the instructor might not have his meals. So he taught them kungfu forms instead of insisting on force training and drilling them in combat application. When there were gatherings or celebrations, these children would give demonstrations of beautiful kungfu forms, receiving loud applaud, and the landlord, the instructor, the students and all present would be very happy. 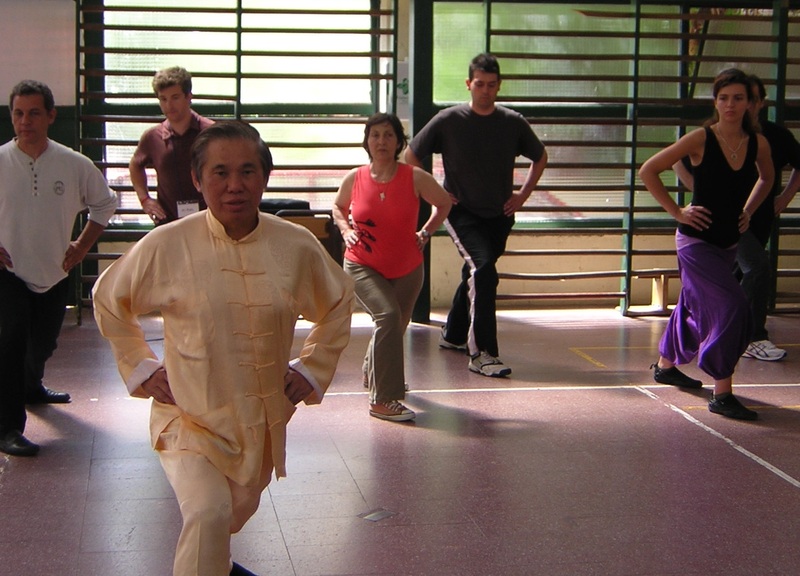 In its early years the present Chinese government discouraged traditional arts, including kungfu and chi kung. During the period of the Cultural Revolution in China, practicing kungfu or any traditional art was a cardinal crime. Later, after a change of national policy, kungfu known in Chinese as wushu was re-introduced — not as a fighting art but as a sport. The various kungfu styles in the past were classified into seven categories, namely Long Fist, Southern Fist, Taijiquan, Knife Techniques, Sword Techniques, Staff Techniques and Spear Techniques. Henceforth, kungfu or wushu was not practiced as Praying Mantis, Eagle Claw, White Crane, Lohan, Monkey, Hoong Ka, Wing Choon, Choy-Li-Fatt, Black Tiger, Lau Ka, Bagua, Hsing Yi, etc, but as the seven categories. There were no sparring and force training, only forms. Later, probably embarrassed by their inability to defend themselves, kungfu or wushu practitioners attempted free sparring. But they had no methodology. So they imitated sparring in other martial arts. At first they borrowed (or stole) techniques from Karate, then Taekwondo. Now they borrow from Kickboxing. Not only it has become a norm that the great majority of kungfu (and wushu) practitioners use Kickboxing and Karate in their sparring and fighting, the situation has become ridiculous and pathetic. 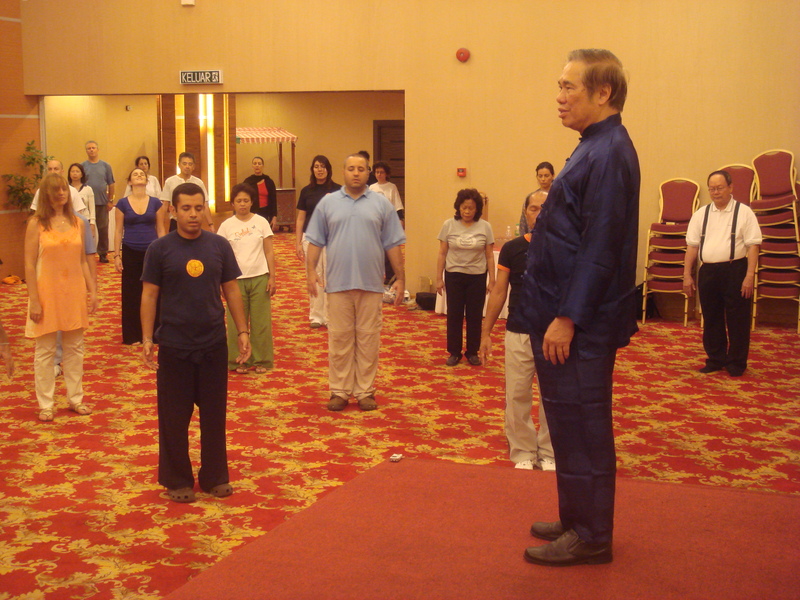 Many kungfu students and some masters, including world known ones, even claim that kungfu techniques cannot be used for fighting! This entry was posted in Grandmaster Wong Kiew Kit, Kung Fu, question-answer, Shaolin, Shaolin Wahnam and tagged Grandmaster Wong Kiew Kit, Kung Fu, QUESTIONANSWERS, Shaolin, Shaolin Wahnam on September 5, 2017 by Wei Joo Lee. 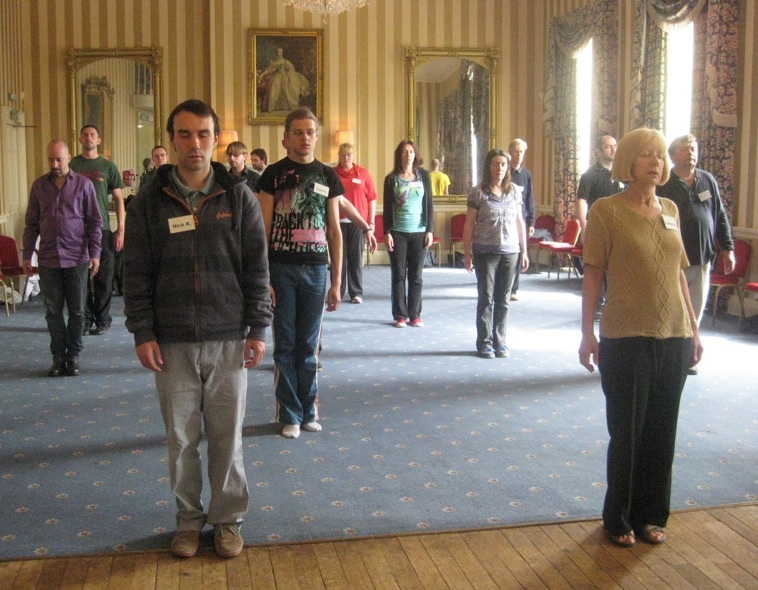 Firstly, we need to know the difference between gentle physical exercise and chi kung. It is the failure to know this difference that causes thousands of people waste years of practice without obtaining any chi kung benefits. 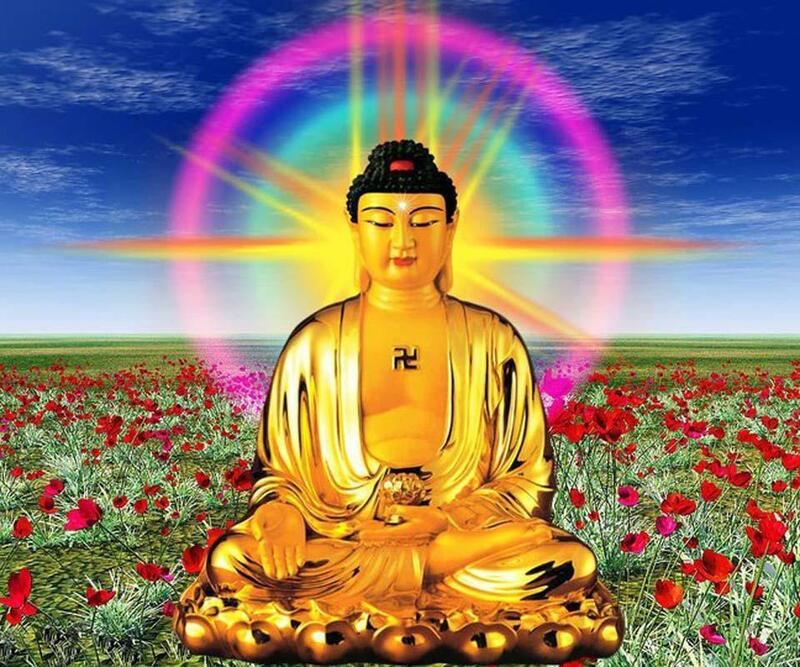 There are, for example, many chi kung instructors, even masters, who have taught chi kung for more than 10 years yet are routinely sick or in pain. This shouldn’t be as a basic benefit of chi kung practice is good health, which means free from sickness and pain. In gentle physical exercise, one practices the forms at a physical level. 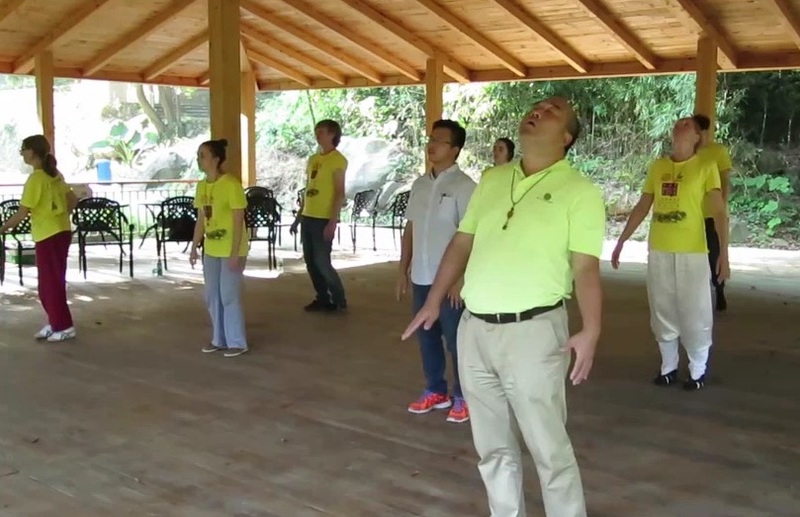 In chi kung, one practices the same forms at three levels — physical, energetic and spiritual. In other words, in gentle physical exercise one works only on the physical body, like loosening muscles and joints. 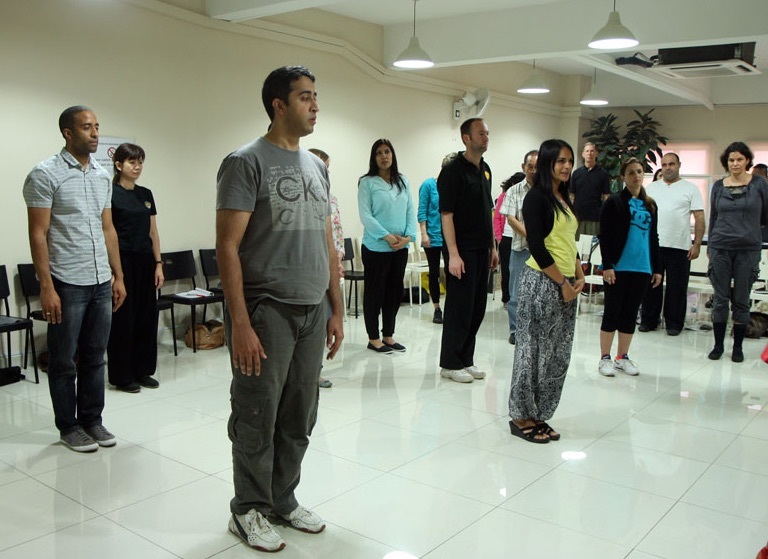 In chi kung one works at the physical level, the energy level and the spiritual level, like loosening muscles and joints, having more vitality, and becoming peaceful and happy. 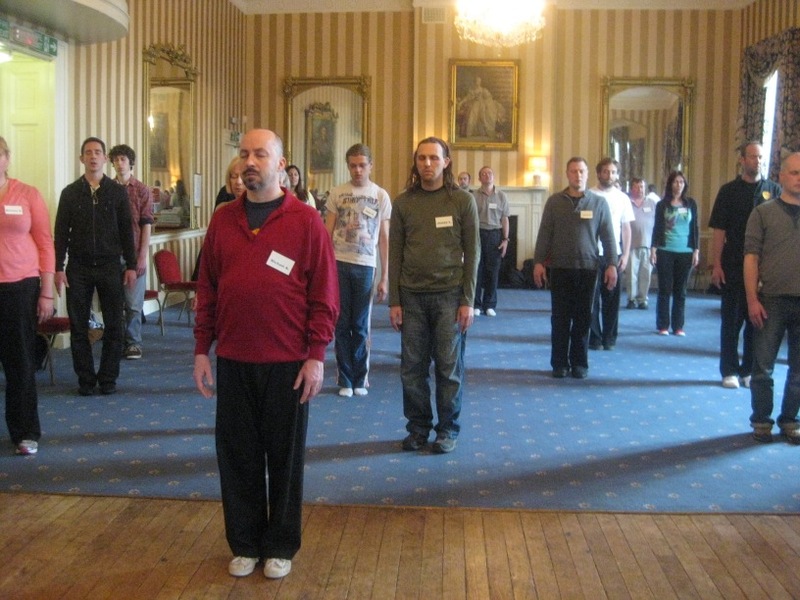 If someone is sick with a serious illness like cancer or clinical depression, he may not overcome his illness by practicing low-level chi kung. If he practices high-level chi kung, not only he can overcome his illness, but also he becomes healthier than he was before. This entry was posted in chi flow, Chi Kung, Chi Kung Healing, Grandmaster Wong Kiew Kit, overcoming illness, question-answer, Shaolin Wahnam and tagged chi flow, chi kung, chi kung healing, Grandmaster Wong Kiew Kit, overcoming illness, QUESTIONANSWERS, Shaolin Wahnam on July 4, 2017 by Wei Joo Lee.